I don't understand why Blut Aus Nord isn't as popular as it should be, these guys are far ahead of the pack in the black metal genre, rivaled only by fellow French black metallers Deathspell Omega. This is Blut Aus Nord's third release of the year (Buckethead thinks this is cute), and sees them returning to the Memoria Vetusta series. The first of the trilogy is a black metal classic, the second was divisive but has a generally favourable consensus. This series shows off Vindsval's (the one man behind Blut Aus Nord) melodic side. Paien - First proper song, and it sets the bar really high. The music is straight forward, and new drummer Thorns brings a welcome change in Blut Aus Nord's sound (this is the first live drum album in god knows how many years), but the focus has always been Vindsval's guitar melodies. Even his auto-tuned vocals are used minimally, something that's hard to find in metal. That melody from the 2:30 mark onwards.... And it does not drop in quality for the next five minutes. Tellus Mater - Starts off with a great melody (seriously, this guy's melodies are nuts). It's a warmer song than the first. The composition is especially strong here; Vindsval builds tension, let's it dissipate, builds it up again. He lets a melody linger on for jut enough time without sounding repetitive. Forhist - Again, another triumph in composition. It starts off with the usual, but slowly melts into an acoustic interlude, not in the jarring way that most bands are doing these days. It is unexpected, but still sounds natural. Also, shout out to the amazing production. A lot of the choruses here are chanted out, which is an excellent use of auto-tune. Some strong guitar melodies toward the 7 minute mark. Henosis - Who would have thought you could find passionate, religious lyrics this far into a black metal album? This song uses the most clean vocals, but it's interesting to note that he incorporates them as melodies intertwined with the music rather than a mouthpiece for lyrics. Metaphor Of The Moon - One of the stronger songs on the album. Well produced drums, this song chugs mostly at mid-pace. Several transcendental moments here. Clarissima Mundi Lumina - Save the best for last? The clean vocal chorus is very new to Blut Aus Nord's soundscape. This one also boasts my favourite lyrics on the album. There is enough variation and all, but I wish the song were longer. It's the kind of ending that leaves a lasting impression. As you can see, I have almost nothing bad to say about this album. The sound is wonderfully mixed and mastered, at DR9, which is heaps above the industry standard. You can hear all the elements, but the album still retains some warm buzz without sounding ultra-clean. Strong, minimalist lyrics all round without moronic blasphemous lyrics. 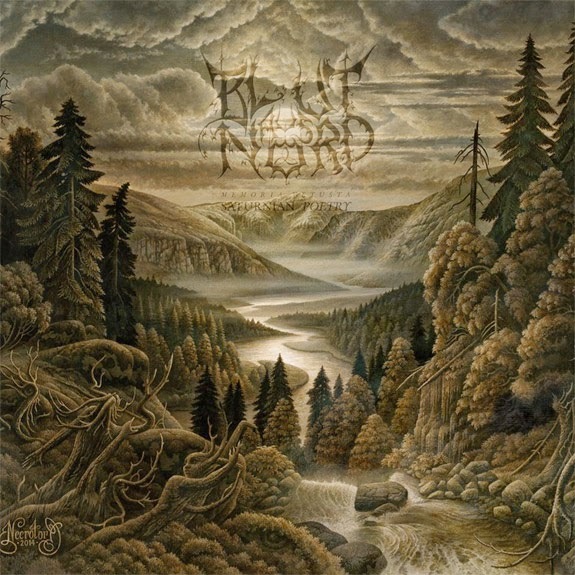 If anything, the only complaint is that this album isn't as good as other Blut Aus Nord albums, but that an artiste has no competition besides its own catalog is the highest praise it can receive. An excellent record, and the second time I bestow a perfect rating on a Blut Aus Nord album on this website.